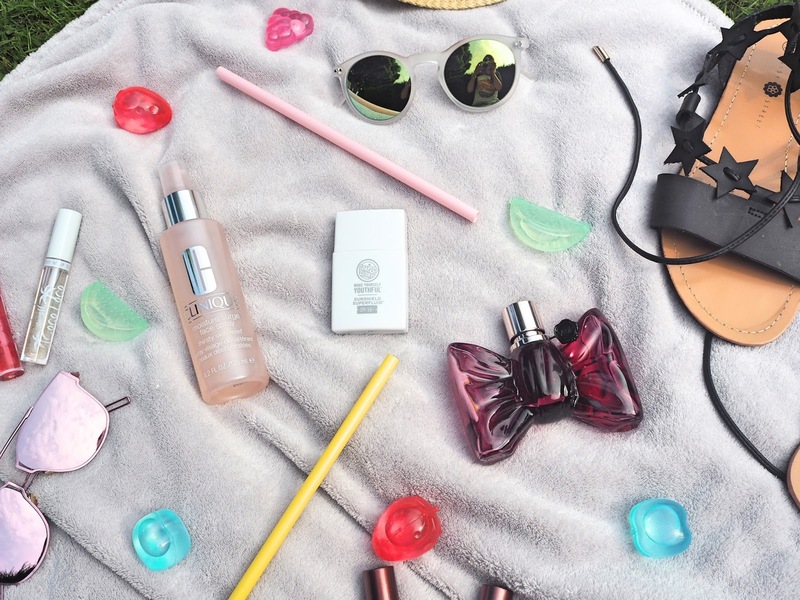 With the little heatwave we've been experiencing here in the UK it seemed like the perfect time to share my summer essentials, but of course now that I've got round to posting this it's back to rainy miserable weather. Typical. But I think we also need to have a bit of a catch-up seeing as I have been rather MIA lately. The only place I have been consistently active is on Instagram, so you should definitely follow me over there y'know. Any excuse for a bit of self-promo! So I've been in quite a bit of a slump lately. It's not that I've lost interest in blogging, not at all, it's more just a case of feeling uninspired and therefore unmotivated and sometimes, when you're feeling down, it's just easier to come home from work and binge-watch Pretty Little Liars for a few hours instead of writing blog posts. So I decided not to force myself into putting out posts that I'm not happy with, hence the two week break between posts! But this all coincided well with a few days off work which I had booked, so after some much needed me-time I'm feeling a lot better about things. I know for a fact that the whole 'social' side of blogging is where I lack and this gets me down a lot, but it's so hard for me to change that when my anxiety pops up every second. Having blogger friends to bounce ideas around with would be so beneficial in these situations, but alas, I need to just keep trying and taking the baby steps that I am. Anyway, back to my summer essentials which is essentially the point of this post, not my rambling and whining. Summer Sandals - As much as I tend to live in boots every day of the year, sometimes it's nice to actually dress for the seasons, isn't it? This pair are my current fave which I rambled on about in this post. Hats - I am 100% a hat person. It doesn't matter what style, I'm always up for wearing a hat and in summer straw hats/floppy hats/baseball caps all seem to shine don't they? Nail Polish - An all-year essential for me really, but they look especially nice in summer! I can never decide if I prefer brights or pastels for summer but this Barry M coconut oil infused range has decided for me. So luxurious! Lip Oil - Sticking to Barry M (because they really are one of my favourite drugstore brands!) 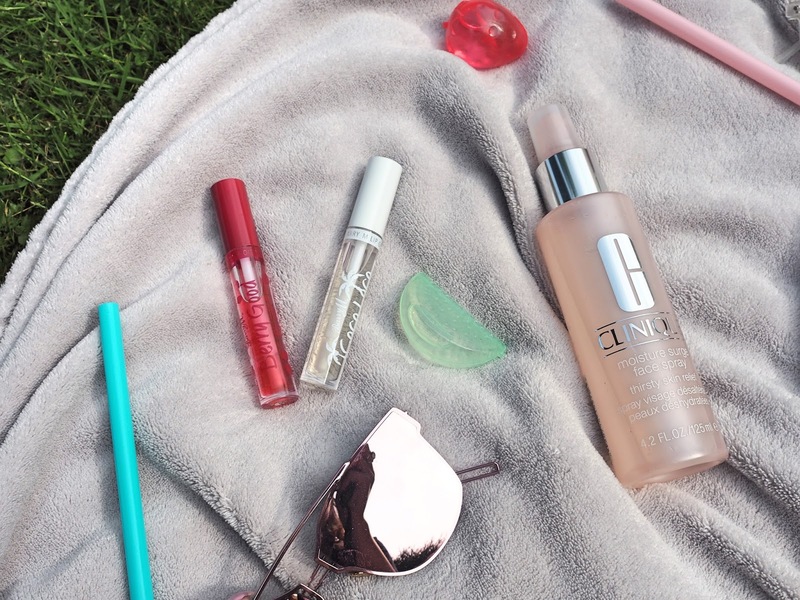 these lip oils are perfect for a sunny day. Lip gloss but not sticky, basically. And they taste amazing! 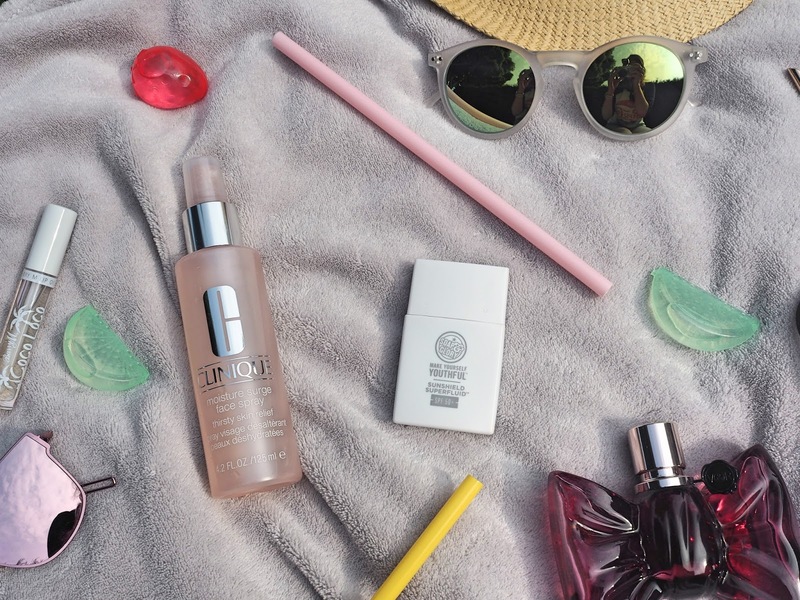 SPF - Always essential, especially on sunny days! Even though my day cream has SPF in it, when it's summer I use a facial SPF as well, because better safe than sorry, y'know? This Soap & Glory one is perfect, nice and lightweight and it doesn't have that weird suncream smell. Facial Spray - I first got this Clinique spray last year and, not to be dramatic, it was life-changing. Working 9-5 in an office, summer (especially in these little heatwaves) can be horrendous, but this is cooling and moisturising and a great pick-me-up. Sunglasses - My favourite thing about the sun is getting to showcase my sunglasses collection! I wear them all year round tbh if I can get away with it, but it's summer when they work best obviously. No outfit is complete without a pair. 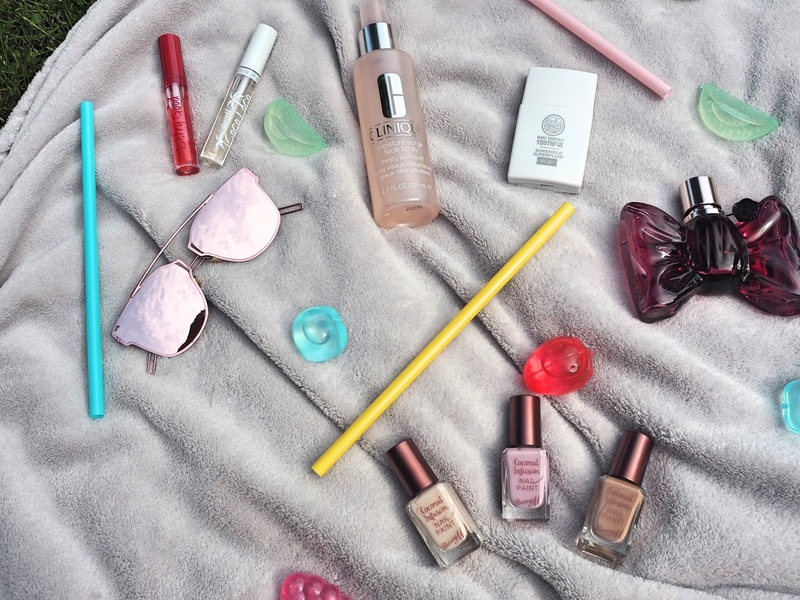 These two feature in my mini sunglasses haul I shared recently! 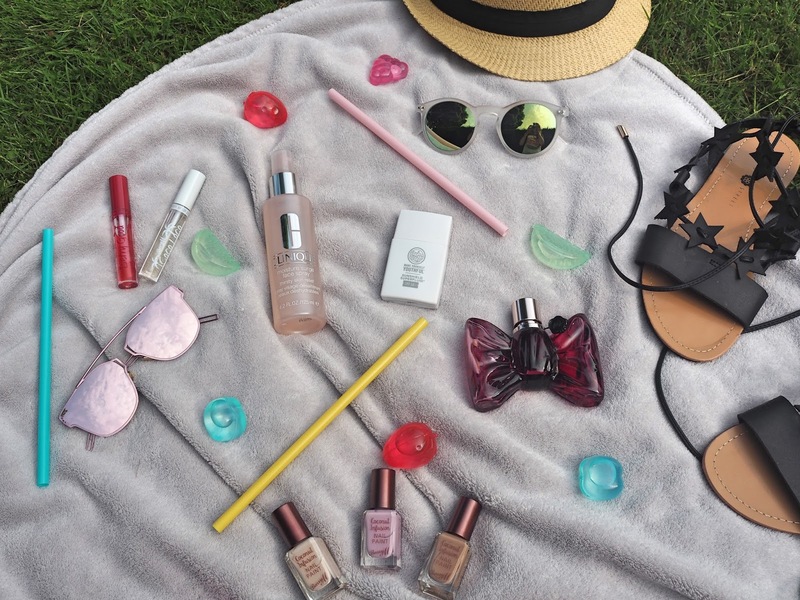 Perfume - Obviously I'm not just saying 'wear perfume in summer' but I like to rotate fragrances through the seasons, so my favourite that I talked about in winter isn't the same as the one I'm talking about now. Obviously, Bronze Goddess is up there, but I haven't got any atm (sad times) and BonBon is another super nice, light, floral but not too floral scent (if that makes any sense at all? Probably not). 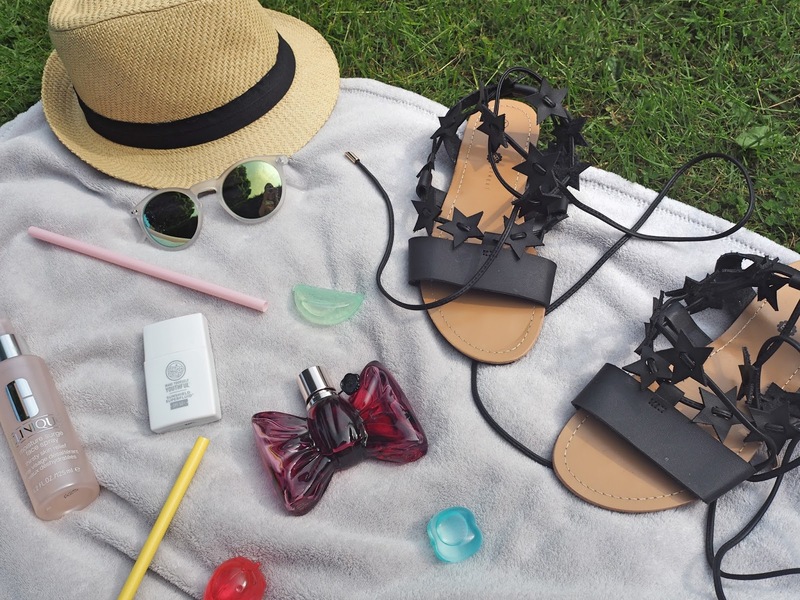 Any summer essentials that you think I've missed?